This is a beautiful rug. The colors are warm and subtle, and I love the classic floral pattern. This has the look and feel of a high-quality rug. I'm super happy with my purchase! If you're considering a rug purchase, I would definitely recommend this one. There's so much to love about the Vali area rug, where do we begin? From its classic floral motif to its sturdy polypropylene construction, this power loomed masterpiece is sure to become one of your favorite home accessories. 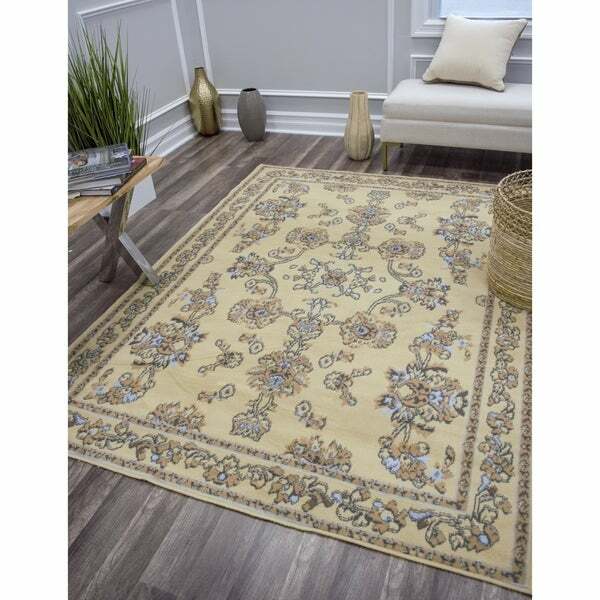 Place it in your formal living room or dining room to set a regal tone. OMG This rug is sooo beautiful! It is soft, and plush, and a pretty buttery yellow color! It really made a beautiful Improvement to my dining room. It is easy to vacuum, and does not pull or get stuck in the vacuum. It was a great price, and there is no better way to get an oversized item delivered for free than to choose Overstock. I highly recommend this rug! This rug is really beautiful! The yellow is creamy, not overly bright. The blue is sky blue and looks great with the yellow. It is thin but at $**, you don’t get plush. Mine is still settling and there are some wrinkles but hopefully they will smooth out. The rug arrived on the day promised. Soft, beautiful and definitely great value for the price. Overstock, you are my new hero! I would definitely recommend to family and friends. Was not the color we expected. Cream color was too yellow. We are donating it to DI and have purchased something elsewhere. Looks exactly as pictured on website. Great for our farmhouse makeover. Exactly as advertised, a great value. It is exactly the size I was looking for, and I love the combination of colors as my dining room walls heavy bunged on pale yellow on Ivory background. 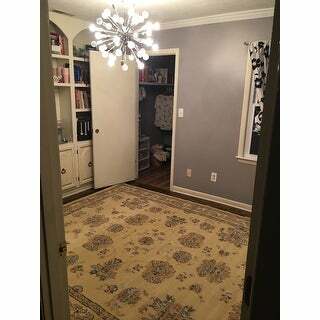 I think this rug will compliment the walls perfectly. Looks like it may go well with my bedroom.